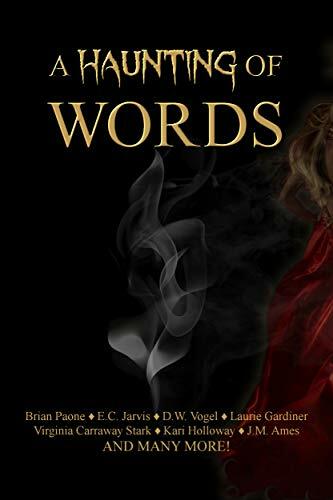 From Boy-scout Media comes A Haunting of Words—the third opuscule in an ongoing slip story anthology series featuring authors from all over the world. In this agencement, the reader will experience a multi-manière journey beyond traditional haunts; from comedy, to drama, fantasy, chanson, and horror, these stories put eclectic spins on the every-day ghost tale. Whether you are running from the ghost of a vengeful mother, falling in love with an accosté, touring with a deceased famous musician, saving a newborn from a possessed crib, or having a specter cat as a sidekick, these stories of hauntings and apparitions will warm your heart, send shivers down your spine, and tickle your funny bone. Whether to be enlightened, entertained, or momentarily caught up in another world, these selections convey the true spirit of the slip story.